Say no more….another great article from the wonderful people at Winspire about how to write creative silent auction descriptions! From the great folks at Winspire – They are my go-to resource for incredible ideas! Go here to download this informative handbook! We recently got to work with a GREAT organization that helps those who are suffering from loss – it was a wonderful and warm experience. Head on over to KARA and learn more about what they do! A “Funtastic” Fundraiser for Healing! 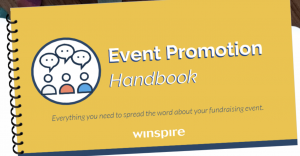 Watch as Ian Lauth from Winspire interviews Keith Fox and they discuss the often, under-discussed topic of sound – and it’s vital importance in raising money for your cause. The great thing about attending the BAS Summit is not only the incredible and unique educational things we learn – but also – the opportunity to network and collaborate with other professional BAS auctioneers from around the country and learn different tips and techniques to make ourselves better for our clients. Listen as Keith Fox, at his 2nd BAS summit, has a quick, impromptu, beach interview with the incredible Chad Carvey.